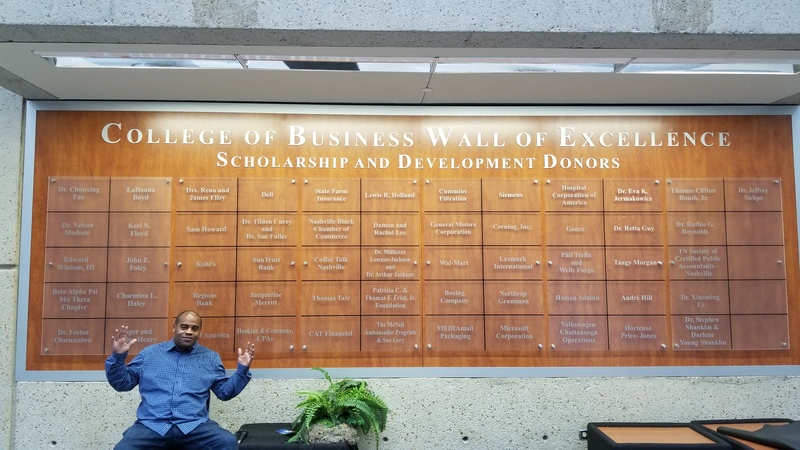 When I visit Nashville one of my favorite places to visit is the College of Business Wall of Excellence Scholarship and Development Fund which is on the downtown Avon Williams campus at Tennessee State University. As a college student I looked at a blank wall and God gave me a vision to not only make money but to also provide a way for students to stay in school. I told Andre Lee about my idea and together we made it happen with the help of others and over 25 years later it is still bearing fruit. Dream big but find a way to live your dreams.